Welcome to 75 Bridge Street, ​built in 1850, a National Register of Historic Places property with a modern flair. 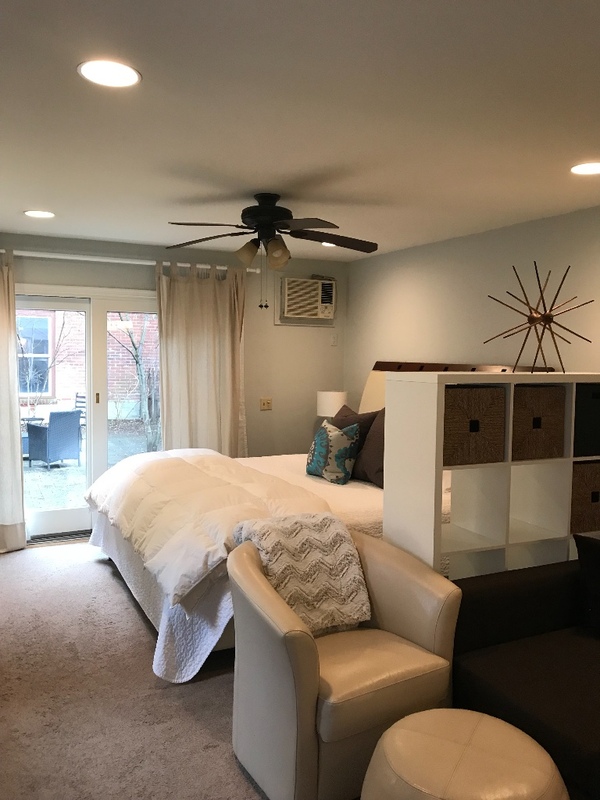 Our gallery and five room guest house sit in the middle of charming Lambertville’s town center, walking distance to all shops, galleries, restaurants and historic New Hope, Pa just across the bridge. 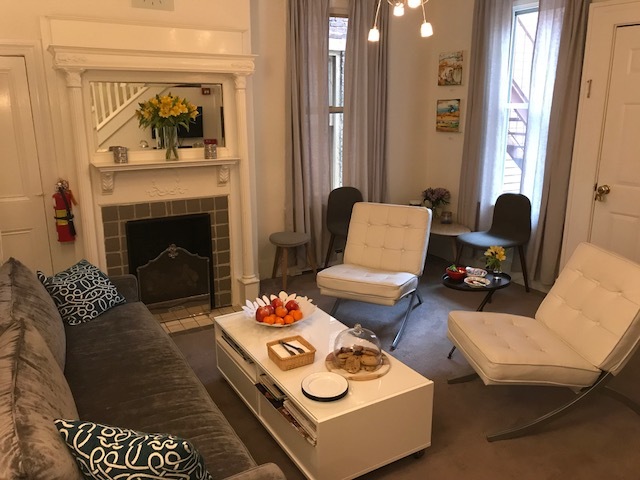 Under new ownership since November of 2016, 75 Bridge Street has been completely renovated to achieve a tasteful blend of history and stylish modern furnishings. 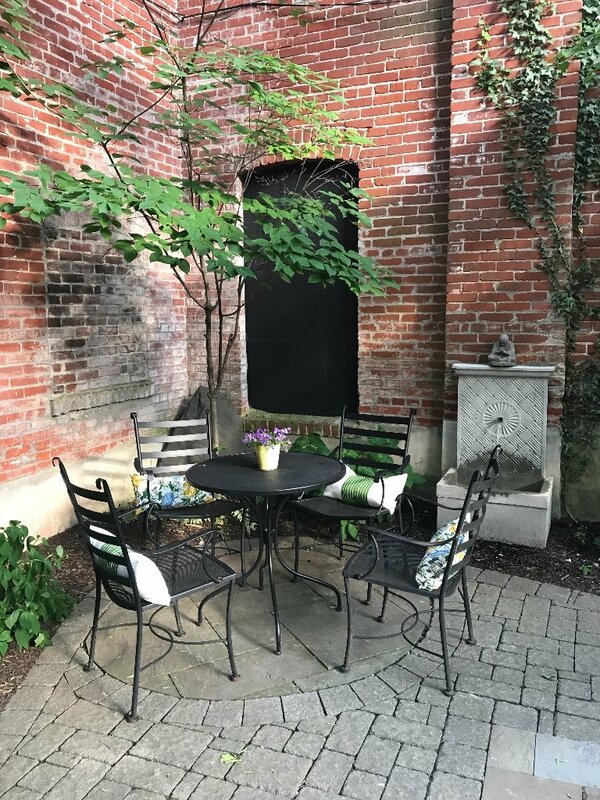 Recently, we completely remodeled our private courtyard into a peaceful and serene outdoor space. In addition to our private guestrooms, each with it’s own private bath, guests may enjoy our cozy common areas including our sitting room with fireplace. Each room comes with complimentary toiletries, daily housekeeping, free parking and a daily complimentary continental breakfast, and free wifi is offered throughout the property. Our first floor gallery houses the works of the areas’ scores of talented artisists. 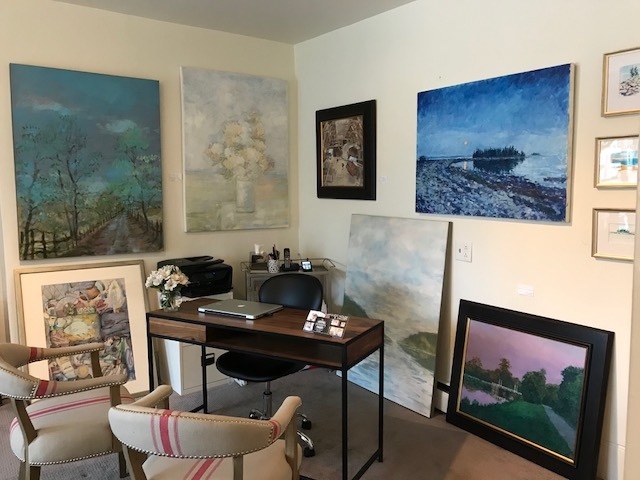 Art throughout the property is available for sale. Many guests have taken advantage of renting our full property for family reunions, weddings and other special occasions. Further, our courtyard is available for private outdoor events. Please inquire about these offerings. At 75 Bridge Street you’re right in the heart of the artistic and cultural resurgence of our beautiful river towns.